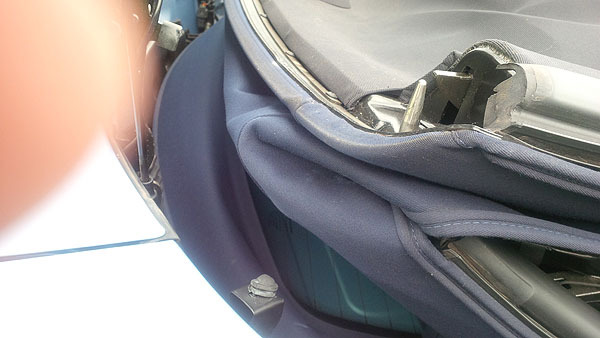 Cause and how to repair damage caused to the Volvo C70 Convertible soft roof fabric. 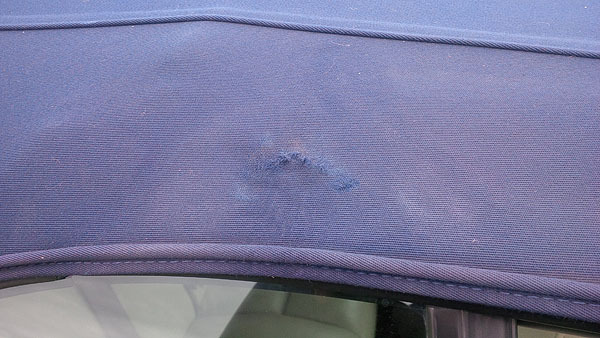 Wear damage on the soft roof fabric of the Volvo C70 is not something only the C70 can suffer from. This has affected several other makes such as the Audi. Volvo does not have any record of this being reported as a problem so no recall was ever done and no technical bulletin issued and no recommendation for it to be a check during a service. But as you see from the second photograph in this example it does not. 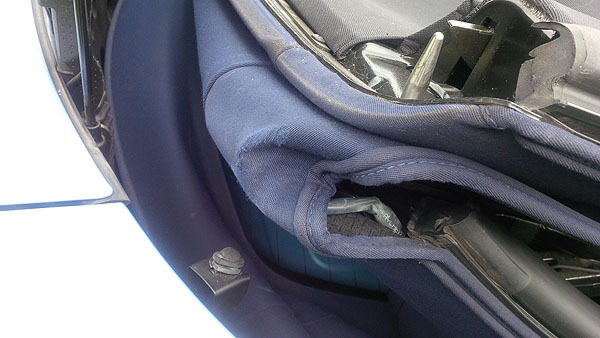 The photograph below shows the damaged strap. There are various ways of fixing this. 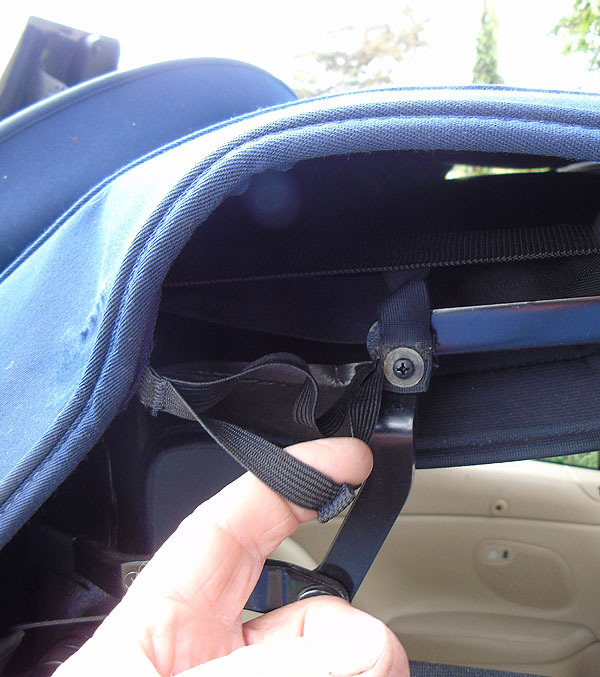 You can cut out the damaged strap and stitch in a new one and then secure it under the x-headed screw. 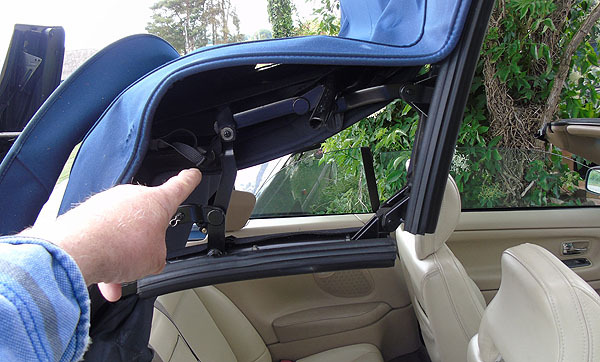 Cayman Auto Services provide a full repair service for the Volvo C70 Convertible roof and the many issues and problems associated with it. Visit their web site and see if they can help you.